For naturally healthy, manageable hair. 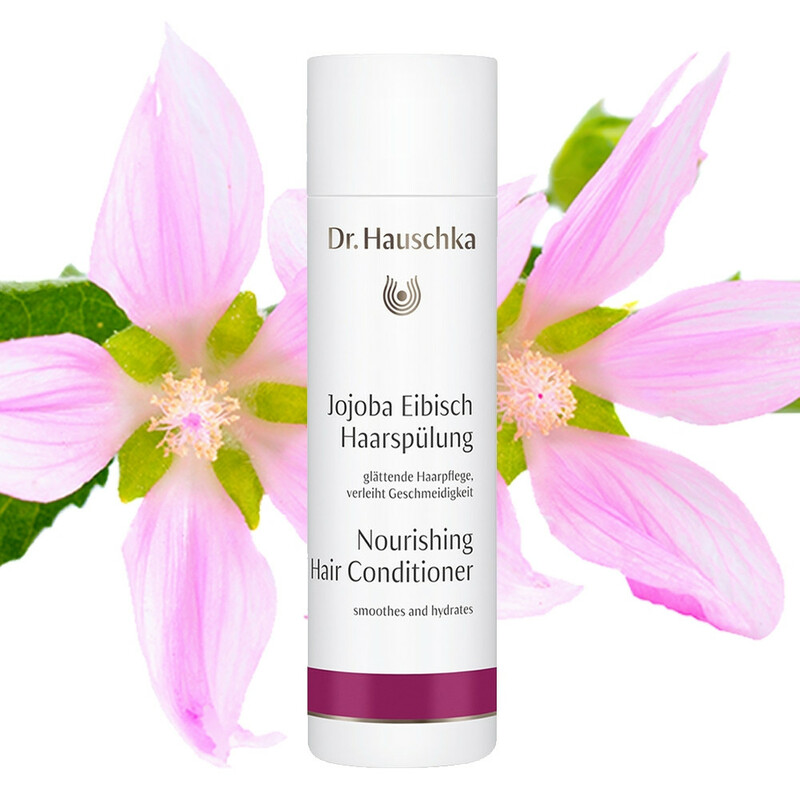 For beautifully healthy, manageable hair, Nourishing Hair Conditioner is just the thing. It won’t leave residue in your hair, as many non-organic based products can, and will naturally heal from within, to leave your hair in the best condition. Crafted using healing Marshmallow and Jojoba; Nettle to toughen and hydrate; Milk proteins to aid strength and bounciness, and nut oils to maintain shine for tangle-free tresses. Hair Type: Perfect for any hair type. Application: After shampooing, work through hair. Leave in for 2-4 minutes then rinse well. For extremely dry roots, also massage into your scalp. Tip: For fragile, damaged, permed or colour treated hair, Dr Hauschka recommend Strengthening Hair Treatment. Matching Products: Revitalising Hair & Scalp Tonic will calm and balance an oily scalp. Ingredients: Water (Aqua), Betaine, Alcohol, Sorbitol, Cetearyl Alcohol, Simmondsia Cinensis (Jojoba) Seed Oil, Glyceryl Laurate, Hydrolyzed Wheat Gluten, Hydrolyzed Milk Protein, Althaea Officinalis Leaf Extract, Quercus Robur Bark Extract, Urtica Urens Leaf Extract, Arctium Lappa Root Extract, Rosmarinus Officinalis (Rosemary) Leaf Extract, Melia Azadirachta Leaf Extract, Macadamia Ternifolia Seed Oil, Fragrance (Parfum)*, Limonene*, Citral*, Linalool*, Vinegar (Acetum), Tricaprylin, Lecithin, Galactoarabinan, Sodium Cetearyl Sulfate, Citric Acid, Xanthan Gum.